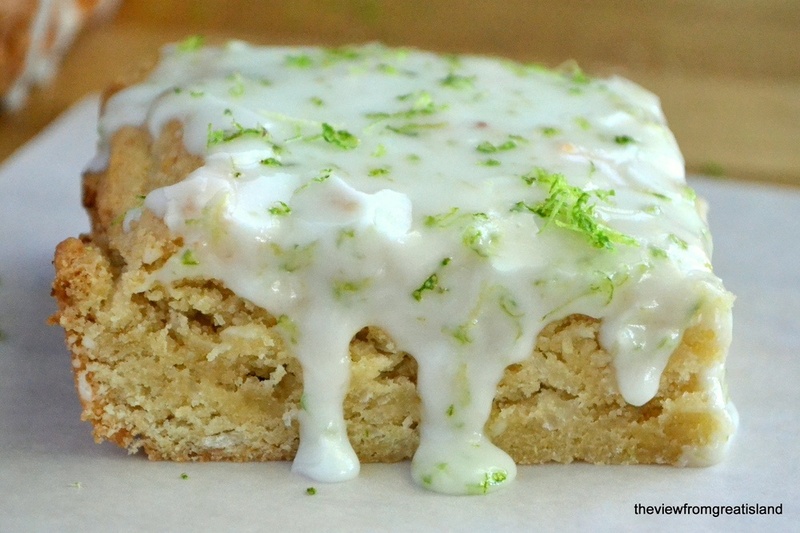 Coconut Lime Squares ~ when the craving for rum, fresh coconut, and lime hits, this is your go to easy tropical dessert. Cream the butter, sugar and molasses together until light and fluffy. Beat in the eggs, one at a time. Add the rum and/or extracts. Mix in the dry ingredients until thoroughly combined. Fold in the coconut. Bake for 30-35 minutes until lightly golden and a toothpick inserted near the center comes out clean. Cool for 10 minutes in the pan, then lift the blondies out of the pan with the parchment paper and finish cooling on a rack. Glaze when completely cool. To make the glaze, miix the sugar with enough lime juice to make a spreadable glaze. Mix in the zest or sprinkle it on top.